Csanad Szegedi, right, and his Hungarian-English interpreter, Jonatan Megyeri, on the campus of the Rabbinical College of America in Morristown. At the end of the ’90s, Szegedi had no idea that his mother was Jewish. It wasn’t until more than a decade later that he would learn the truth and, after years of far Right activism, quit the movement and renounce its anti-Semitism and xenophobia. 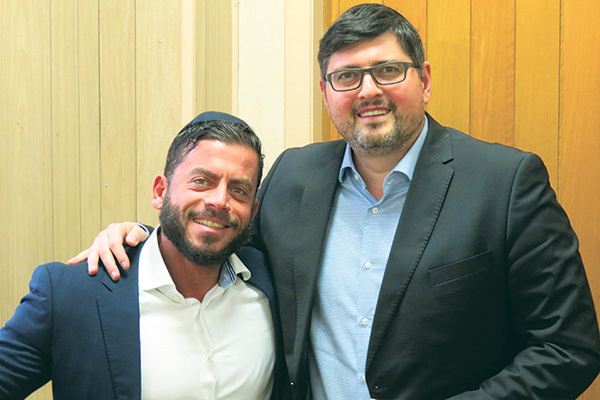 On March 3, Szegedi spoke with NJ Jewish News through an interpreter during a visit to the Rabbinical College of America, the Chabad-Lubavitch seminary in Morristown. A documentary about his journey, titled Keep Quiet, will have its U.S. debut on Thursday, April 14, at 6 p.m. at the Tribeca Film Festival in Manhattan. In 2002, he and some university friends founded the Right-Wing Youth Association. It morphed into a far-right political party called Jobbik, which describes itself as “a principled, conservative, and radically patriotic Christian party.” Its earliest targets included communists and Roma, or gypsies. In 2009 he served as a Jobbik delegate to the European Parliament in Brussels. In 2010, said Szegedi, “I started to hear rumors from within and without my close circles that I had some sort of a Jewish origin. It was the biggest sin you could commit if you were on the far Right. You could be corrupt. You could be homosexual. You could be a gypsy, a Roma. But being Jewish was as bad as it gets,” he said. Then she rolled back her sleeve to show her grandson the numbers tattooed on her forearm by guards at Auschwitz. He resigned from Jobbik in June 2012 and began visiting Rabbi Koves in Budapest. In 2014 he went to Auschwitz along with a camera crew to film footage for the documentary. When his guide showed him the crematoria, she pointed to ditches outside the walls where ashes were shoveled, then soaked with water to keep them from becoming airborne. Today Szegedi is a businessman involved with real estate and a distillery, which makes a Hungarian version of fruit brandy called palinka. 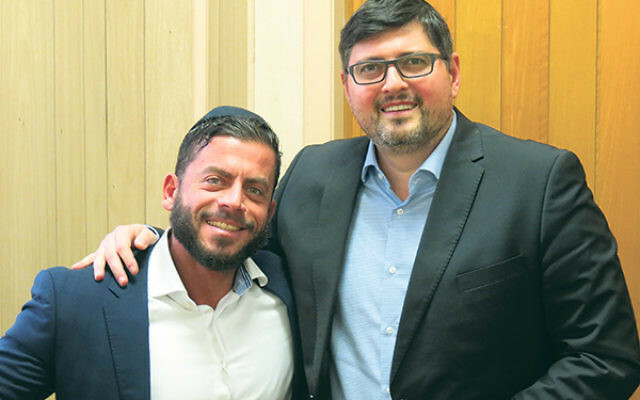 He studies with Rabbi Boruch Oberlander, director of the Chabad in Budapest, but did not have to convert because Oberlander found a certificate showing that his grandparents were married in a Jewish ceremony. He took a Jewish name, Dovid, and in 2013 he traveled to Israel, where he and his wife visited Jerusalem and Yad Vashem. Szegedi said his mother “never got any Jewish education and she was never in a synagogue until she came with me but she is now on a good path of trying to accept her own identity. My father is more complicated. When he realized he had a Jewish family, he was completely taken aback.